Affordable Housing With Solar Energy! 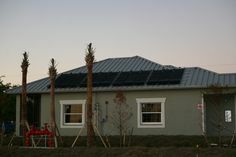 The SW Florida Affordable Housing Choice Foundation had the foresight to ask for solar water heating systems on three local apartment renovation projects. My employer was awarded the jobs, and I can’t wait to get started on the roof! 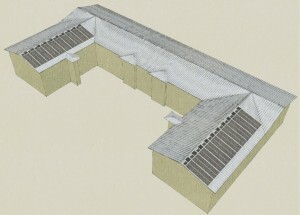 Solar panels will heat water and supplement an electric water heater in individual apartment units. The largest installations will include 40 solar panels on a single building serving 20 apartments. Each system will have an Integrated Circulation Module (ICM) that senses when hot water is available on the roof, and circulates it to heat the tank. 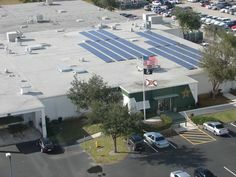 The ICM operates with a small photovoltaic panel to power the pumps. That means solar heated hot water is available even if utility power is lost! 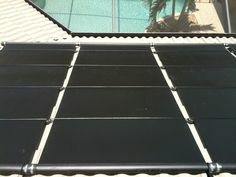 The solar panels are manufactured in the USA by FAFCO, Inc. of Chico, CA. At this time there is a total of 54 dwelling units that are slated to get solar water heating systems. Two of the facilities are in Fort Myers, and one is in Cape Coral. Depending on usage patterns by the apartment tenants, solar is expected to reduce water heating costs well over 50%, and can even produce 100% of the hot water required under some conditions. It just makes sense – affordable housing is not just about low-cost rent. The total operating cost of the apartment is the real number that is important. Reducing energy costs with solar water heating systems is an obvious solution toward the goal of providing improved affordable housing choices! Next Post: Solar Photovoltaic System with Battery Backup?